Collection of automation samples or automation control systems. Sample of a PLC based control system with Touch-screen control that is connected on a Industrial network enabling remote control via PC/Laptop connected on the network. In addition wireless connection setup is possible too. Touch-screen can access individual or multiple PLC's. Password protected and either with view only or view and control capability. The following will display an overhaul of a Centrifuge control. Where some items were replaced with new (ie. 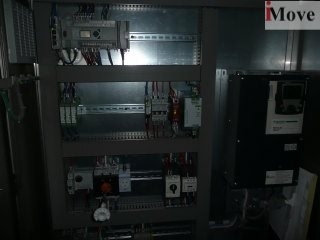 New PLC, HMI, contactors, PS, etc), while others have been re-used like Panel, Main-Switch, etc. 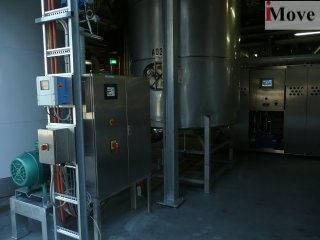 The Cooling system is used during vintage for cooling red-ferments after the crushing process. Cold water is stored in a small buffer and will be circulated on demand through the Fermenter jackets.